You use JSON files or took one and need to convert it to another format? Don’t be alarmed, we explain what it is and how to convert this type of file to popular formats like CVS very used to list of email contacts, PDF or other. Follow. The representation of the information used in JSON files is very simple and the way of its structuring is much more compact than it is usually done in the XML files, which makes the processing of information much faster. Perhaps this is why the format was adopted by companies like Google and Yahoo, whose applications need to transmit huge amounts of data. 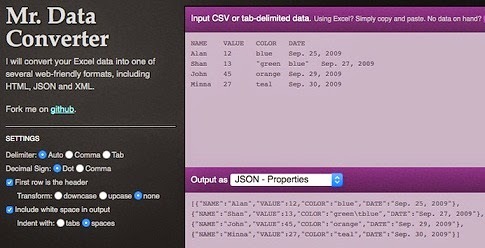 The JSON To CSV Converter allows you to convert JSON files to CSV format and vice versa. To use it, simply enter the source file by clicking the "Select File .." or by typing a web address that contains a file. Then click the "Convert CSV JSON To" button and the result will appear in the bottom frame. If you want to download the resulting file, type a name and then click the "Save to Disk" button. 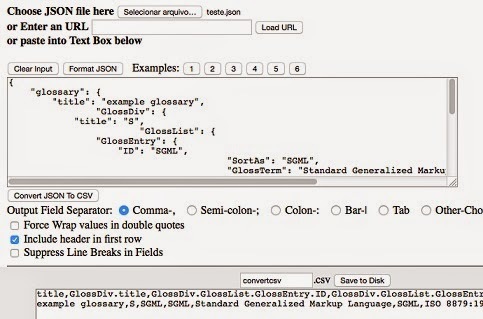 Who need to convert JSON to XML files or otherwise, can use JSON to XML online to do this. To convert, simply paste the file contents in the right frame and then click the button that points to the other format. It quickly converts and displays the content in another frame. Simple and straightforward. Less useful as the number of previous, but fully functional, the JSON 2 HTML can transform the content of JSON files into HTML. 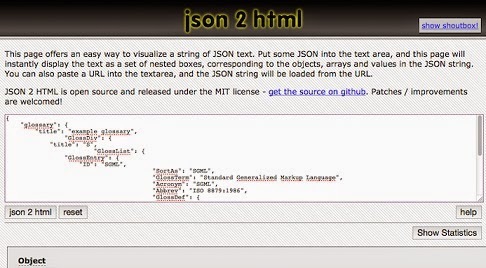 Paste the JSON in the first frame and click on the "json 2 html" and within seconds will display the HTML version at the bottom of the window. The result is a hierarchical view of the items listed in the JSON file, like possessions tables. The Mr. Data Converter is one of the few converters that can transform Excel files or any other worksheets in JSON. But unfortunately, it only takes that sense, that is, no JSON to Excel. Even in converting Excel to JSON, it only does so if the data is copied directly from a well structured spreadsheet columns and simple lines or from a CSV file. Interesting way in tree (Tree Viewer), more organized (Beautify) and compact (Minify). 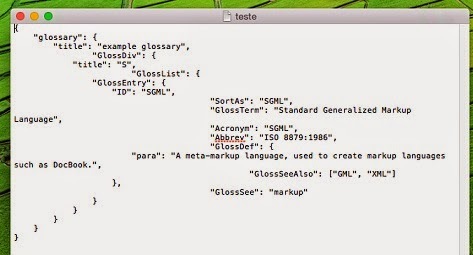 It also has a validation function and can export JSON files to XML or CSV format. If you need to generate a PDF file from a JSON, the shortest way for this is to use some online conversion services like toPDF and the Neevia Convert Document . Another way to do this is to paste its contents into a modern text editor that has the option to save or export to PDF (such as MS Office, Libre Office and OpenOffice) and save the document in this format. The above are only some of the tools that there are many on the Internet. There are others, but they basically do the same thing with a look a little different. Although effective, use it carefully and keep an eye on file that they generate, as you run the risk of corrupting the information from the original file. 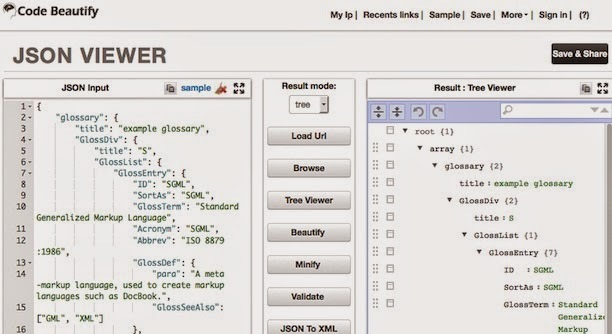 With these features, whatever your need, one of the tools can solve your problem and speed your work with JSON files. Whatever the solution used, the most important is that it meets your needs.